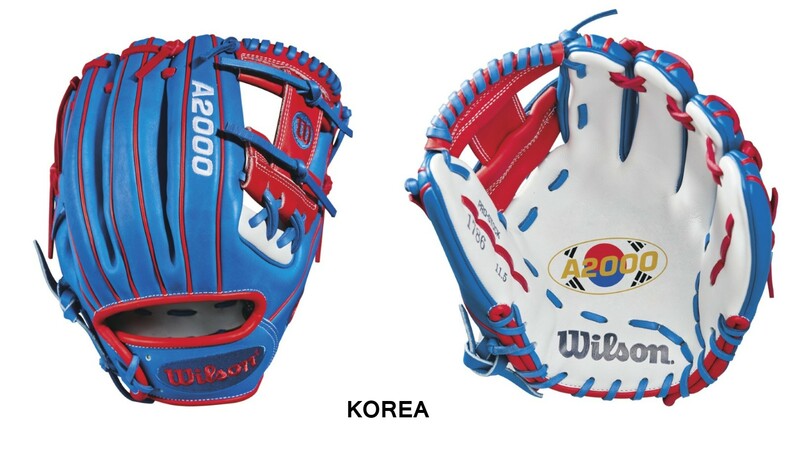 In celebration of the World Baseball Classic, Wilson released a slew of swaggy gloves to get us ready for the start of international baseball. 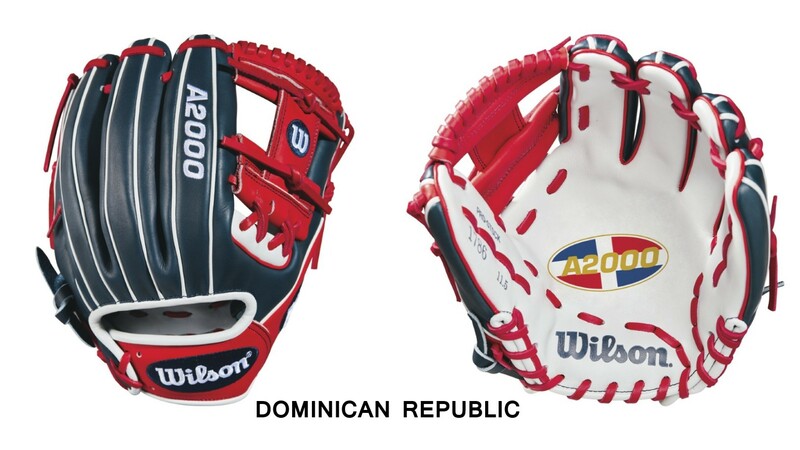 To match the theme, each glove comes in a country’s colors and has a special flag-based “A2000” engraving in the palm. The uniqueness is off the charts. ‘Merica. Any questions? Grab it here. Blue and white finger stripes are dope. Buy it here. 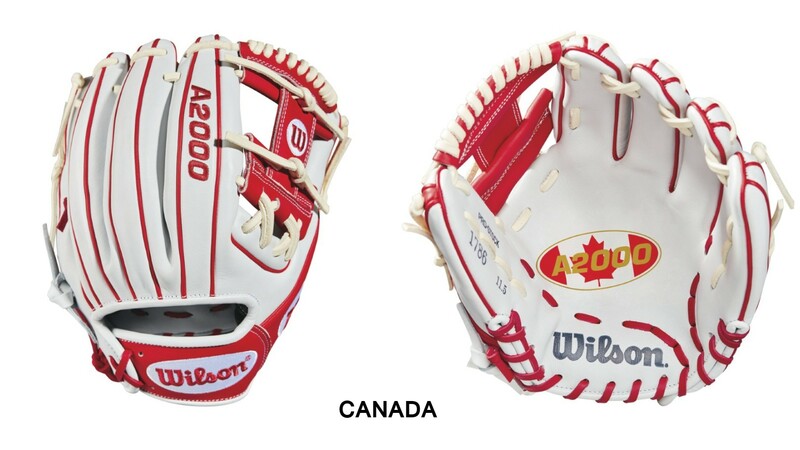 Red + White = Clean. Any middle-infielder in a red/white jersey needs to take a long hard look at this one. Buy Japan’s model here. Could’ve guessed this without the label. Green and red pop (maybe too much?). 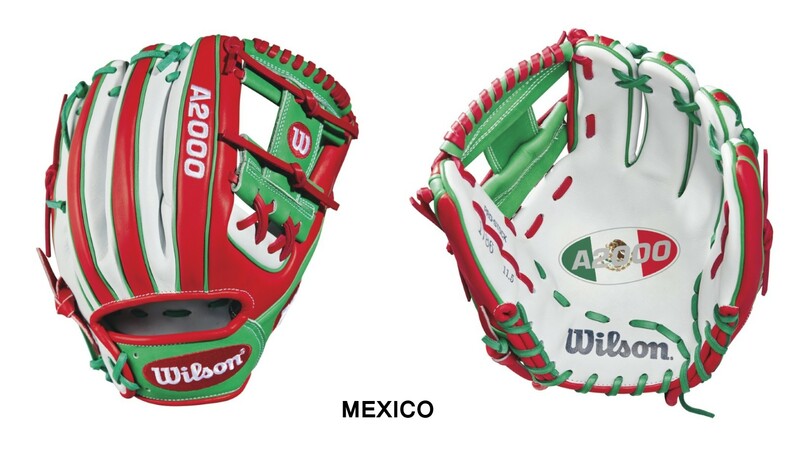 If Santa was a shortstop… Cop Mexico’s model here. Korea’s model is stunning. For some reason the contrasting palm/shell always looks great. Get it here. 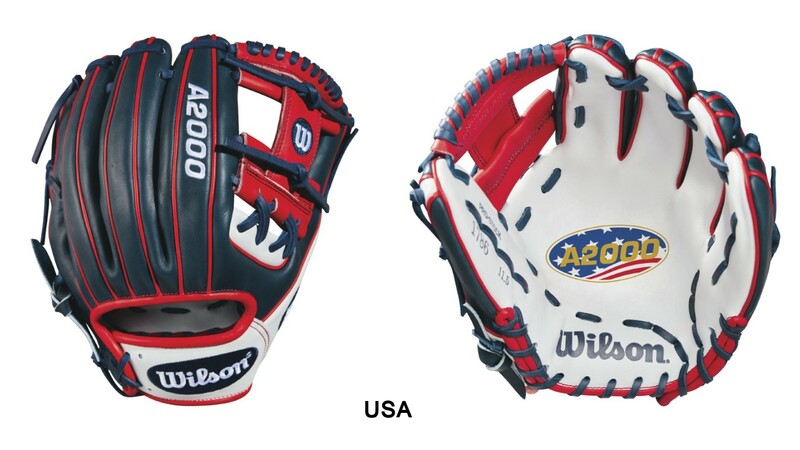 Pretty much like the USA glove. But, the red and white are flip-flopped on the welting, thumb, and wrist. With the navy shell, this glove will age beautifully. 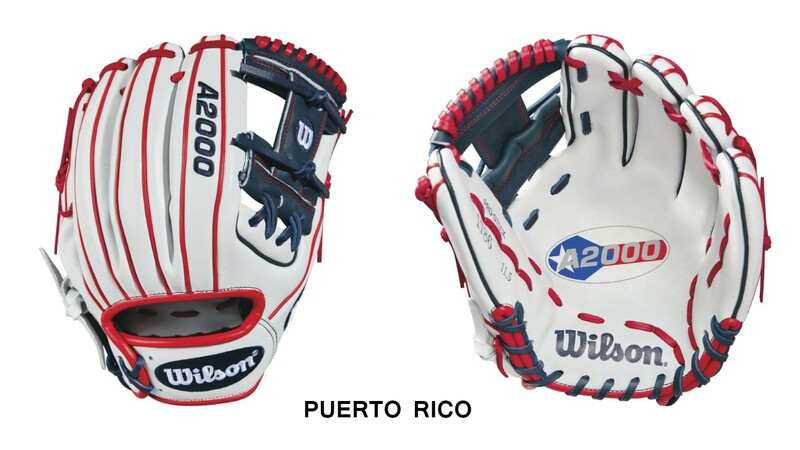 Get the defending WBC Champion’s glove here. More white and red heat, this time from Canada. Only slightly different outer colorway than Japan, with a red thumb instead of white. Cop their model here. While not as clean as red and white, the white, navy, and red is still slick. Pick up Puerto Rico’s model here. 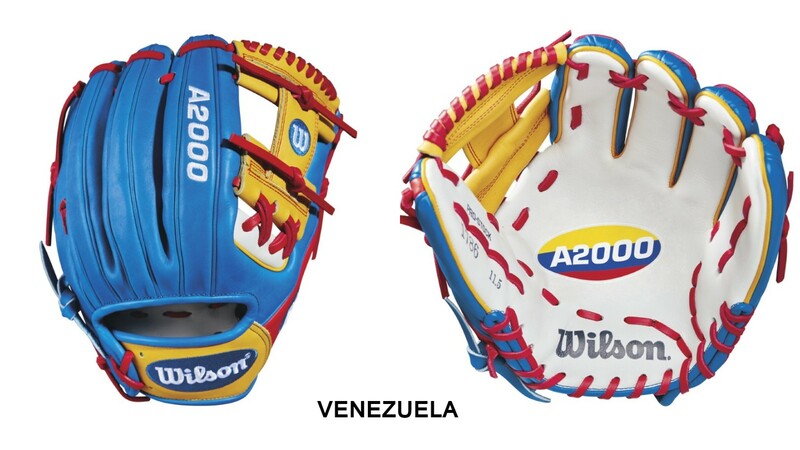 Venezuela takes the prize for the ugliest of the Wilson World Baseball Classic Gloves. It has a little bit of a cotton candy feel to it and there aren’t a lot of teams out there that use this color combo aside from the Venezuelans. With that said, Jose Altuve, Miguel Cabrera, Carlos Gonzalez, Salvador Perez and company would make anything look good. 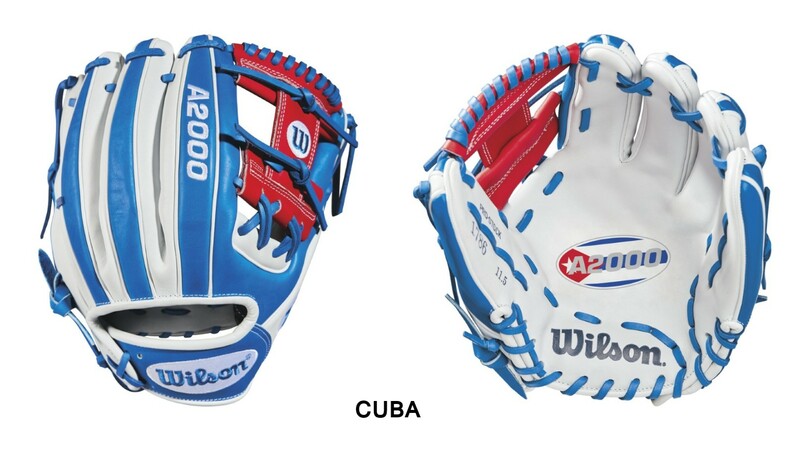 Shop the Venezuela custom here. 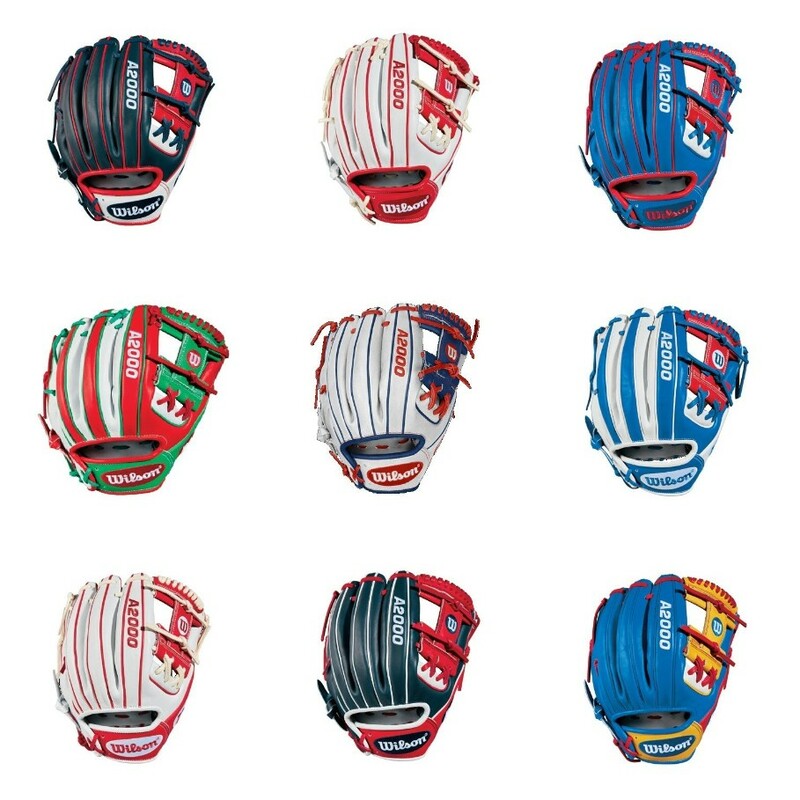 Maybe it’s because of my love for my home country, but that USA glove is my favorite of the bunch. 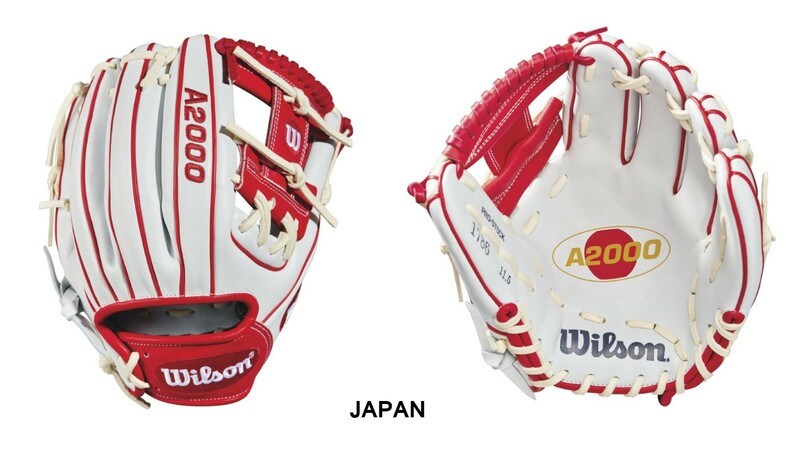 Coming in a close second is that Japan glove. White and red is simply gorgeous. Are these real 1786’s (leather, construction, etc.)? Why are they so low priced considering a new 1786 is worth $260+ and this is meant to be a special edition? Thx for any info you can provide.